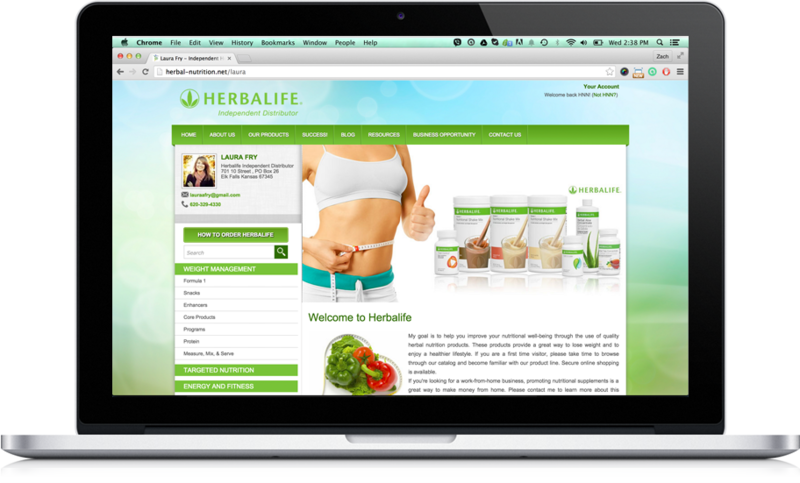 Herbal Nutrition™ is the preferred website solution of some of the most successful distributors in the business. 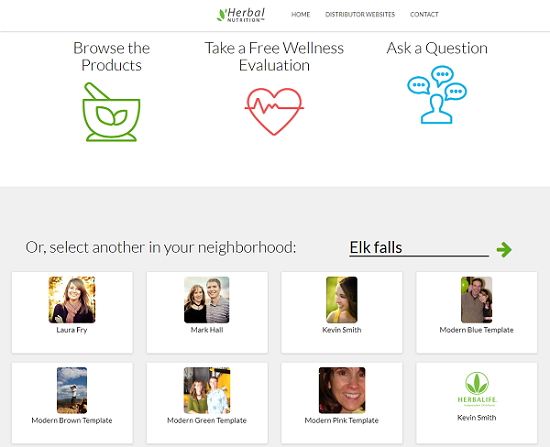 Featured distributor, wellness evalutaion, full product catalog, design templates... see the full list below. Have a suggestion? We listen! Many of the features you see on Herbal Nutrition™ were the result of suggestions by members. Recruiting Site Included! Bonus website included at no additional charge! 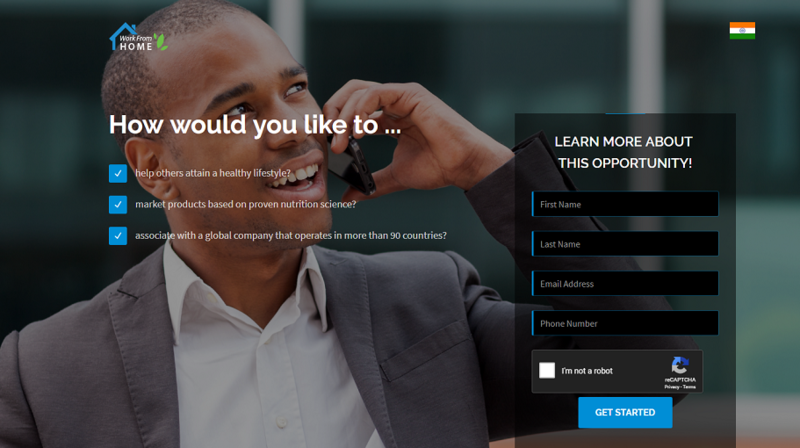 Promote Herbalife products with your Herbal Nutrition website, and grow your downline with our 'Work from Home System' recruiting tool. Included for FREE with your Herbal Nutrition website. WLC Bonus website included at no additional charge! Herbal Nutrition™ is now THREE Herbalife sites for the price of ONE. 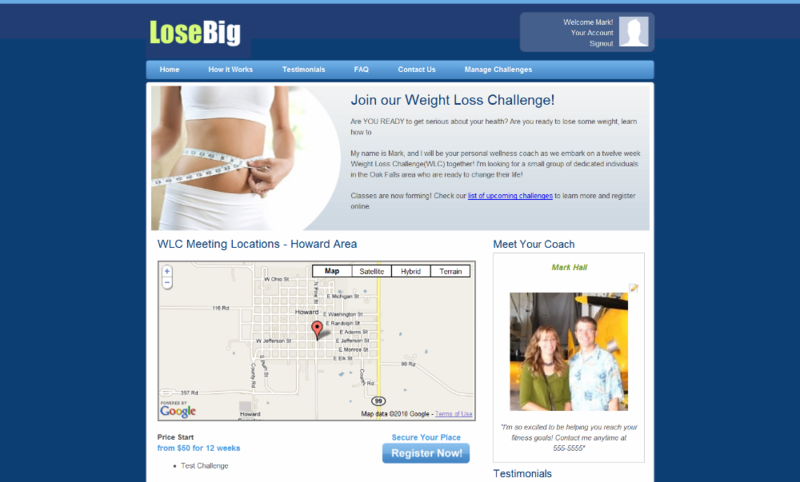 This local WLC promotion and registration page helps you promote your next Herbalife Weight Loss Challenge. Now Available! After only one week of having this website, I had a customer called me to order two ULTIMATE Programs, this was very exciting because this is the biggest order at one time that I have ever had. I have only been with Herbalife for a few weeks. My new customer told me he was looking for a distributor in his area and he found me through this website. I recommend this site to all Herbalife Distributors! Thanks!!!!! You are extremely great at taking care of your customers and I wanted to be sure and tell you. You always respond quickly and your emails always have that personal touch like you are talking directly to the person as a person. It's really nice. Thank you again. I discovered your site through a search engine. After verifying that this site was approved by Herbalife ethics department I decided to join. Very accommodating, nicely done site and certainly affordable for everyone. Thank you for championing our efforts with your expertise! 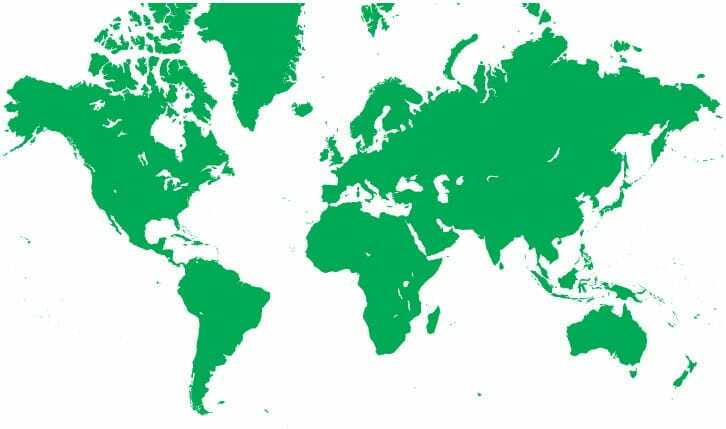 Serving Distributors in 36 countries! Register and get access to your free directory listing on Herbal Nutrition™. By listing your business in our database, we help you make a personal conection with prospective customers. You will show up in local search results on our site. You can upgrade anytime to our paid plan which will allow you to access all three of our dedicated websites. Read the latest from the Herbal Nutrition blog. Get Started with Herbal Nutrition!